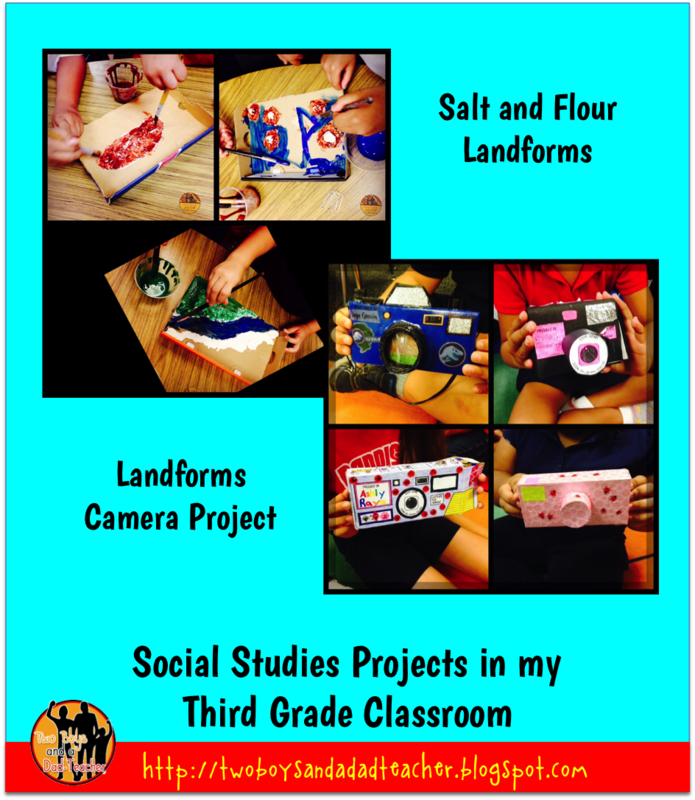 Read about 2 Social Studies projects from my classroom. hills, coastal areas, oceans, lakes). In my district we are also using the Reflections Social Studies Curriculum (which is now over 7 years old!). So I definitely wanted to …..Click READ MORE below to see the entire post. make it fun and exciting. 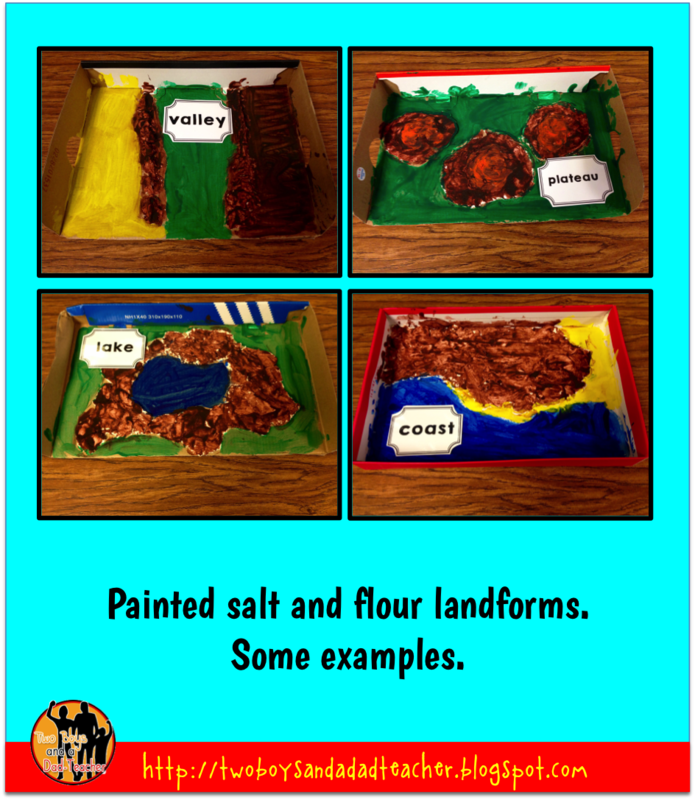 Not only did we use this unit as a Language Arts unit to teach the ELA Common Core Standards, but we decided to do several projects: a Landforms Camera Project and Salt and Flour Landforms. The students had great fun with it. Some were very creative when making their camera. 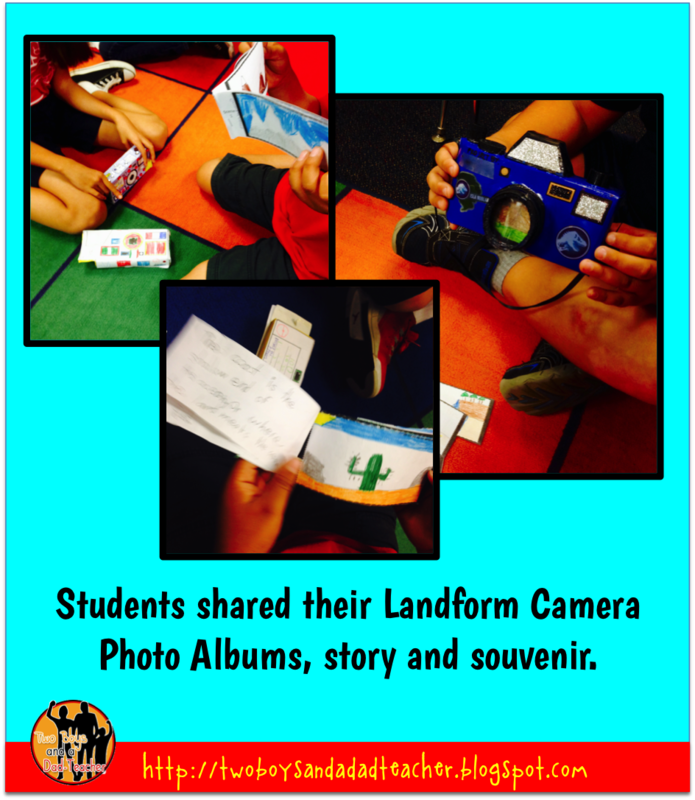 Each student received the instructions for the project, templates for making the photo album, templates for the camera and index cards for writing their story and making the souvenir. The students had to draw each landform, then write a description on the back of that landform to make a total of 6 landforms. The template was cut out and stapled to make into a photo album which fit neatly into the butter box camera. Just a funny side note. Originally, when my team did this project in the past, we had the students make a “film strip” of their travels. Well, kids today have no idea what film or a film strip are. So of course we had to update it and instead have them make a photo album. 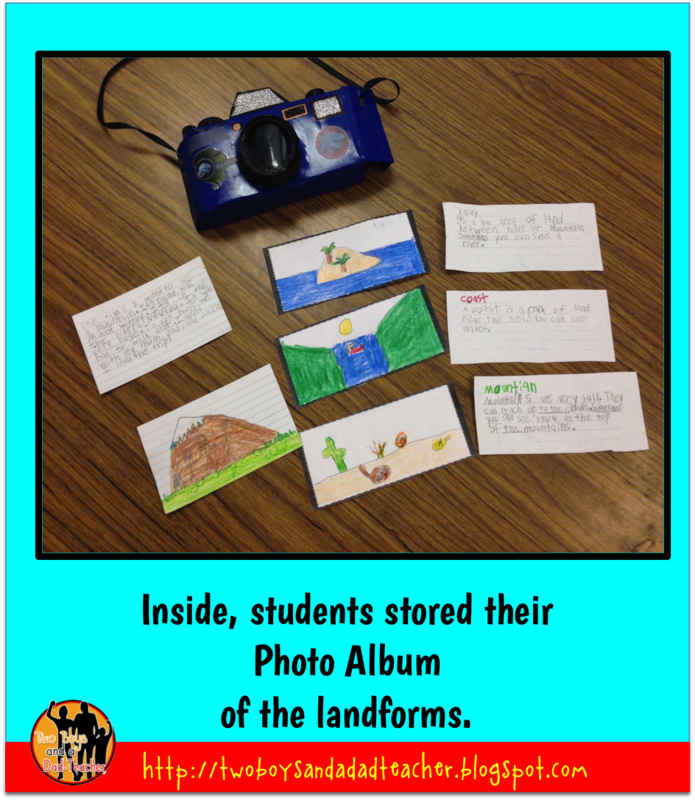 On an index card, the students had to write a paragraph or more about visiting a landform and explaining what they saw and did there. Then they were to make a souvenir to represent this visit. Those also fit nicely into the butter box camera. 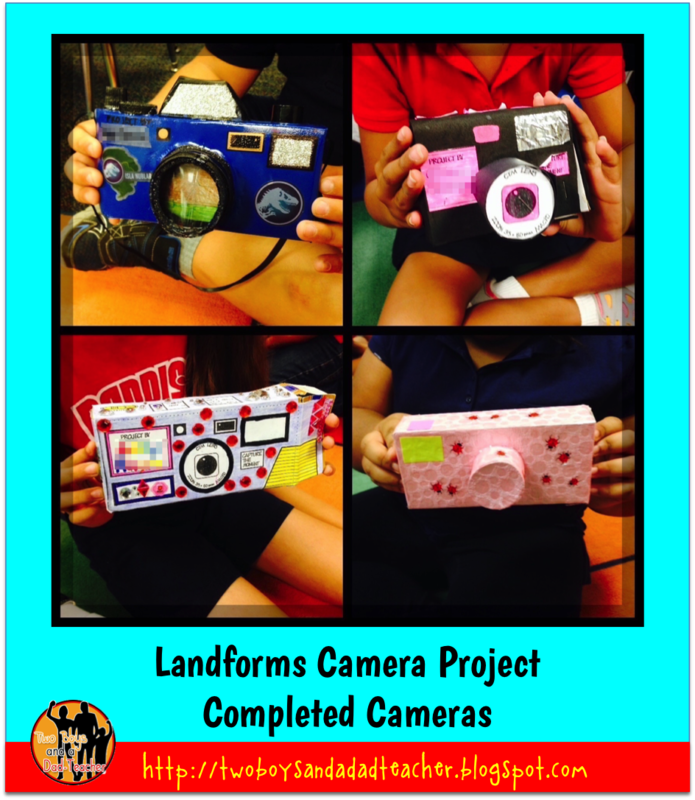 Finally, the students had to put together the camera. A template was provided to them to color, cut out and glue over the butter box (the 4 stick butter box is just the right size for this template). Students were told that it had to be colored in with either markers, crayons or colored pencils. However, we also encouraged them to be creative and add a lanyard, lens, flash, etc from material they found at home. This year, one student covered his box with blue tape and it looked very good. Another used sticky paper to cover it. My only restriction on the creativity was NO glitter. Sorry glitter fans. It’s just too messy for this particular project. Everything is stored inside the camera. On Friday when the students turned in their projects, they were given an opportunity to share with their classmates. They presented their photo album, read each other’s stories and showed off the souvenirs. Students share their projects with classmates. 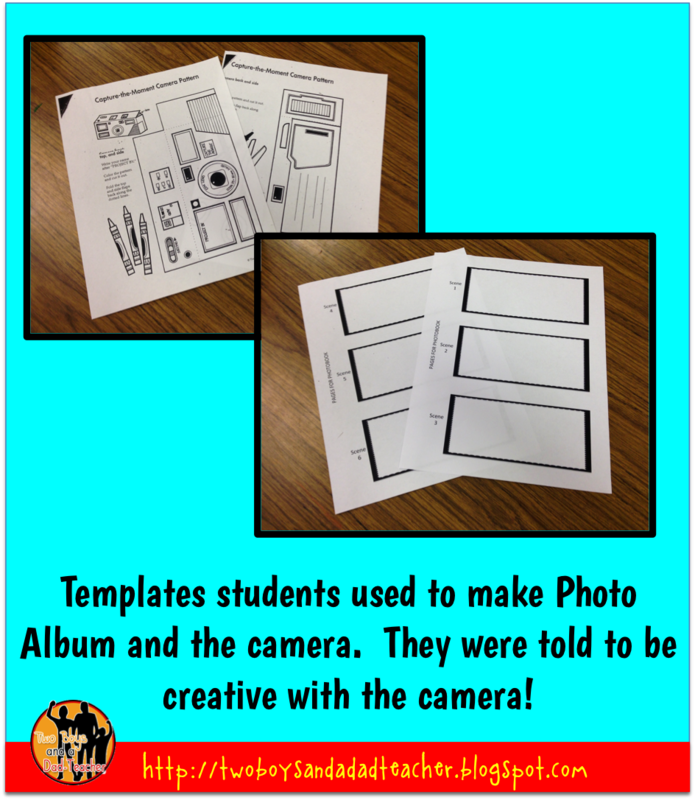 If you are interested in doing this project with your class, I’ve included a FREEBIE that includes the Instructions to Students and Photo Album template. The instructions are in MS WORD and are fully editable. The Photo Album template is a PDF document. Click HERE to download the Project Instructions file. Click HERE to download the Photo Album template. Unfortunately, I am unable to include the camera template because it is a copyrighted work. A teacher friend from long ago gave me a copy of the template and so I do not have the original resource book. However, it came from a book called The Book Box by The Learning Works, Inc. I have tried unsuccessfully to search for this book online and I believe the publisher may no longer be in business or has changed to Creative Teaching Press. If I find the book, I will update this blog! 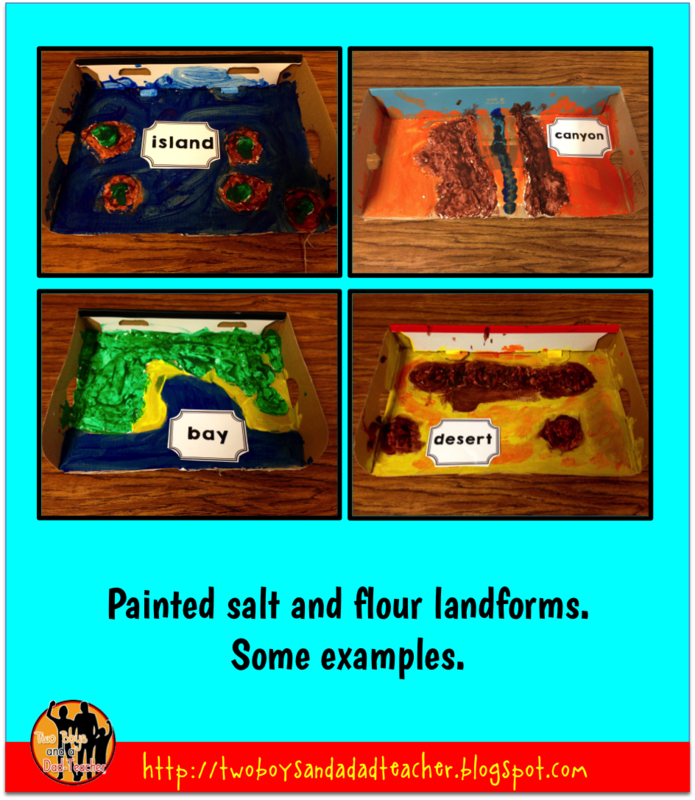 Salt and flour landforms made by students. 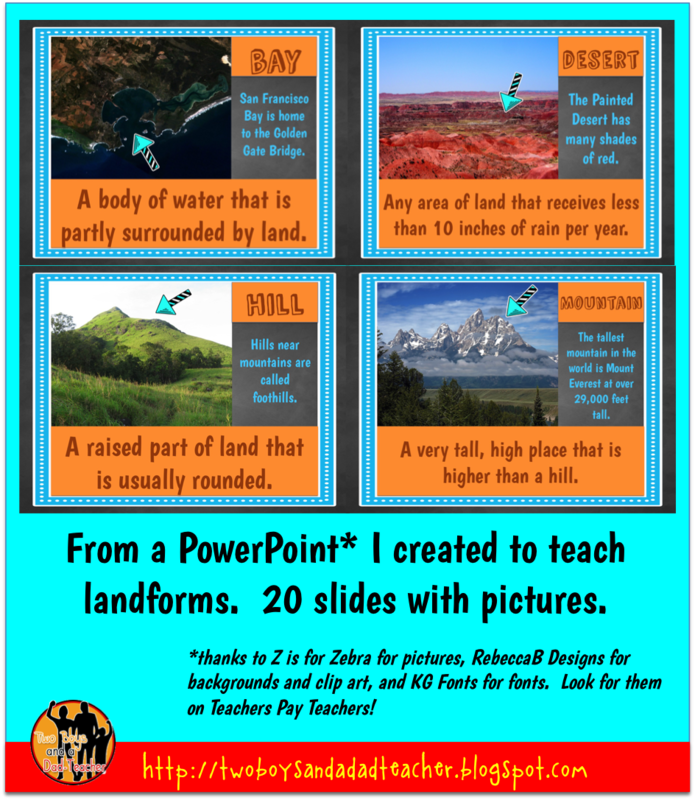 I make one batch and have kids work in pairs to create an assigned landform. They make it on a shoebox cover. The students had earlier brought in shoeboxes. I did help them with ideas for forming the landform and making sure it was the correct shape. The next day once it was dry, we painted using tempera paint. I added the labels later and now will be displaying them in the classroom throughout the year to be used as a resource when we are learning about history or science. 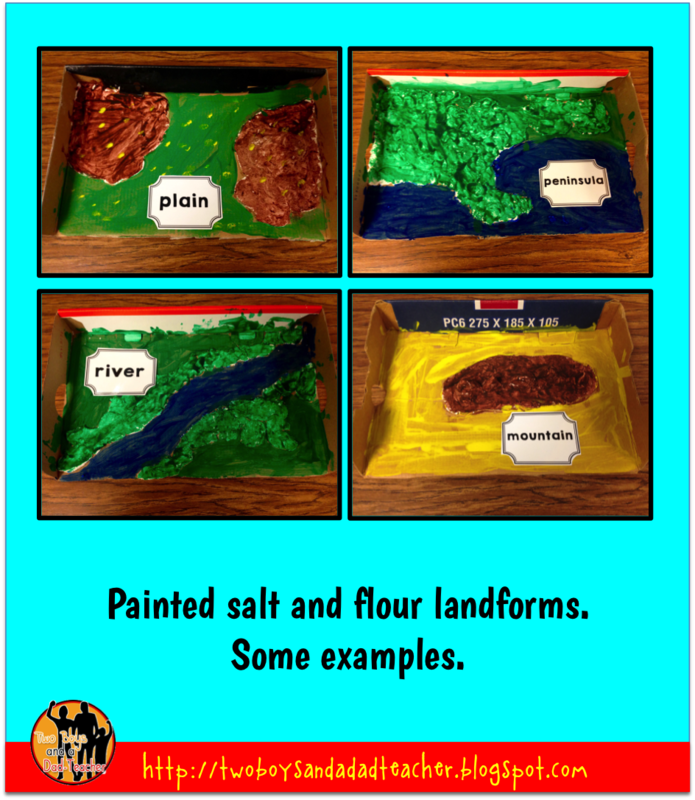 Examples of salt and flour landforms. 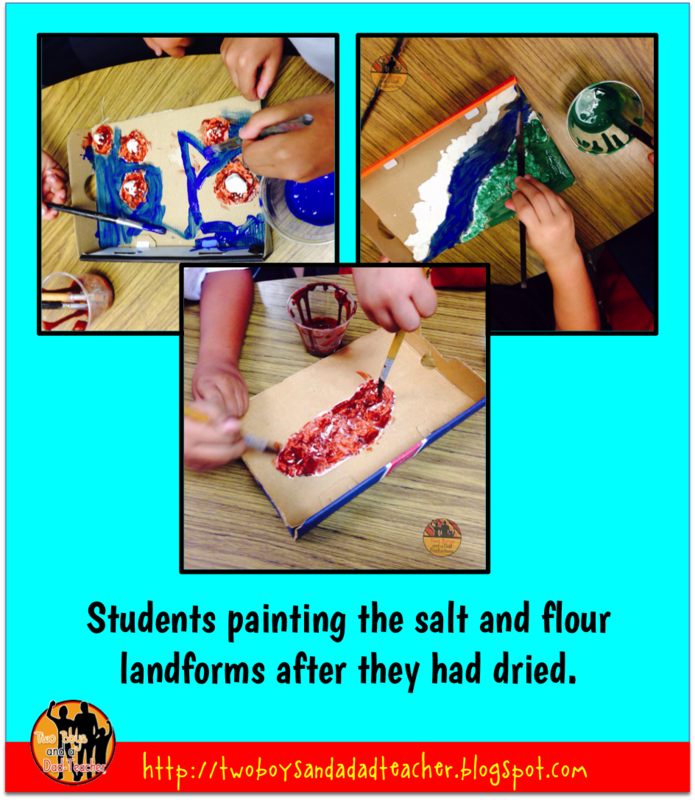 Students had great fun making these salt and flour landforms. What kind of projects have you done with your students? Please share and let us know!